I was going through old posts (diy furniture paint projects) last night trying to edit the photos. It was a hopeless cause. I started blogging 6 years ago and the pictures I took back then are really bad. Well, maybe not really bad….just bad. I can’t edit them to look any better because at that time I knew nothing about high resolution photos. All I did was set the camera to auto and shoot. Besides the resolution being bad, they are small photos so there is nothing to work with as far as improving them. I learned the hard way to save all of my original unedited photos. Anyway, moving on. I thought you guys might be interested in looking back at a few of my projects from 6 years ago. I bet most of you haven’t seen these painted furniture makeovers. I’ll start with the first project I posted about back in May of 2011. I titled the post “I Had A Wild Chair”. I know, very creative. 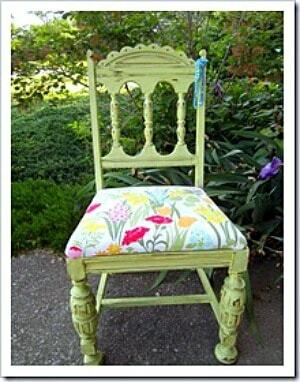 I painted the chair a lovely bright green and recovered the chair seat with fabric from a vintage curtain. You can view any of the posts and complete project details by clicking the photo or the pink text links. 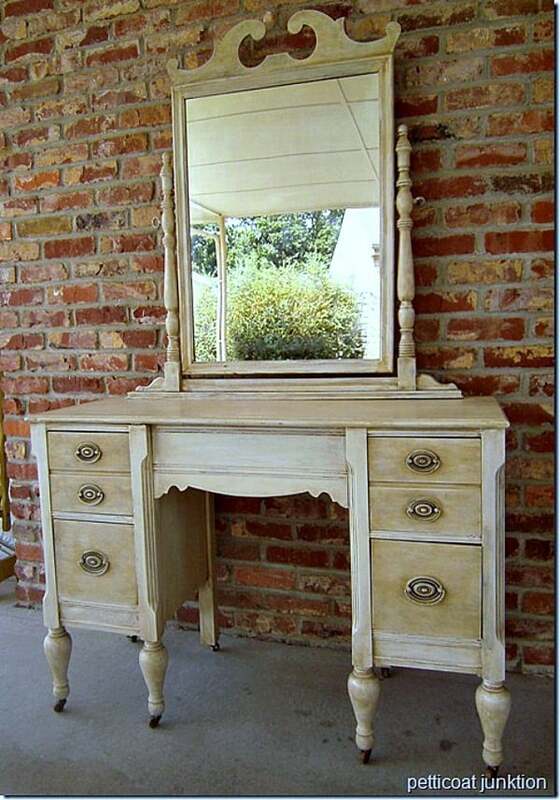 This dresser is one of my all time favorites. I painted it with Caromal Colours paint then distressed, toned, and waxed it. 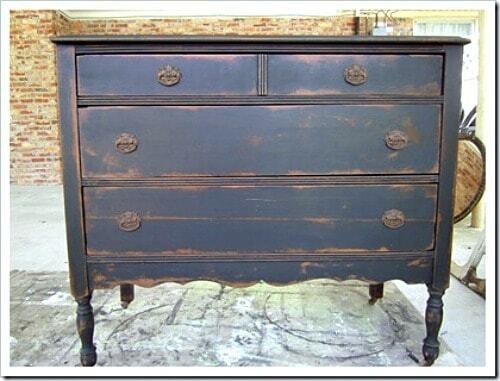 You can see the project here…Classic Makeover For A Vintage Dresser. I found the cedar chest at the Nashville Flea Market. 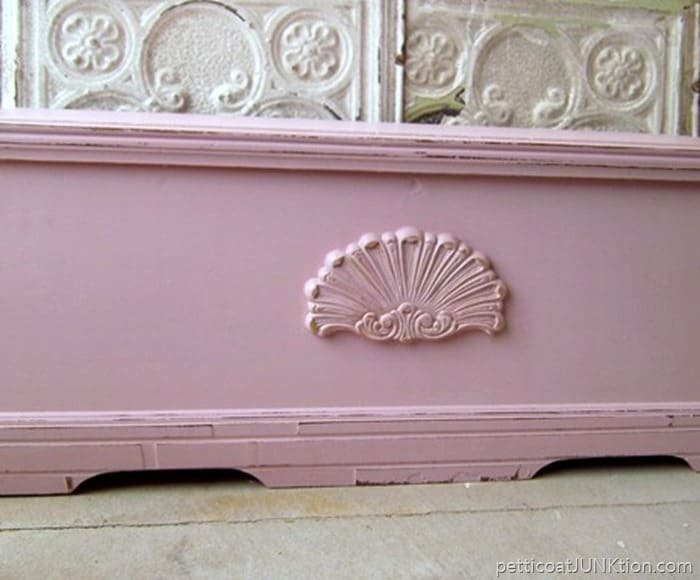 I added the scallop wood detail to the front and painted it a pretty pink. The two-tone antiqued dresser turned out better than I expected. Don’t you just love the mirror on this piece. You can see it here…Unexpected Elegance. 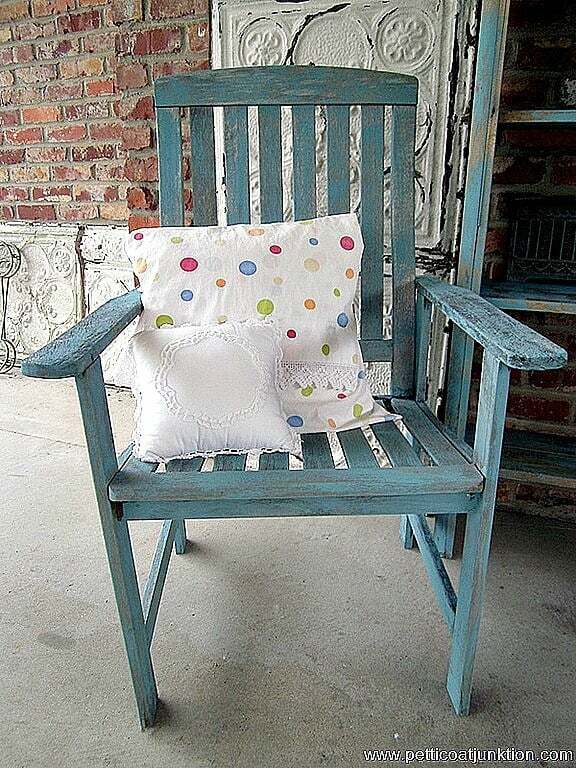 The blue wood lawn chair is part of a large group of things I painted all at one time. I didn’t use spray paint, it was all brush painted. The grouping includes picture frames, mirrors, bookshelves, and other assorted things. Title of the post is Feeling Aqua Blue. The fuchsia dresser was a custom piece for a lady who owned a child’s clothing shop. I love this color. It makes me happy! 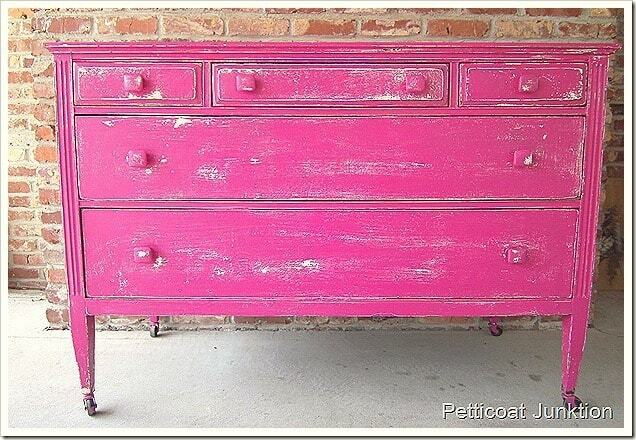 See it here…Fuchsia Dresser. Okay that’s it for a look back. Hope you enjoyed it. I’m off to junk shop with my friend Beth of Farm Fresh Vintage Finds. Wish us good junkin’ please. I hope to have photos of our finds tomorrow. Have a great day. Love the blue chair! Perfect for me. Wow, 2011 and I still love them. They are beautiful. Kathy, I have recently gotten on your site and LOVE it. We both enjoy the same things it seems and when I see all you have done, it really makes me want to do more and more. It is hard to sleep when so many ideas are running through your head. Your work is very nice and I look forward to seeing more of your creations. I paint furniture, make pins from old jewelry, plus I love to work outside and see flowers blooming….and give me junk to place everywhere! Blessings and good luck on your next project. So many projects done, and hopefully more to come. Which is your all time favorite? Do you feel you have learned much? Love the black and green table. Have been wanting to do a color something like this on an old wooden tea cart and this really lit the light bulb for me. I also love the “Unexpected Elegance” dresser. It’s beautiful. Not a big pink person though, don’t mind little touches of it here and there, just not big splashes of it. Guess I’m not a girly, girl, lol. If not, painting, gardening, then I’d rather be fishing, preferably with one of the grandkids. Great work. Love all the items but the drop leaf table is my favorite. Great projects, so well done! 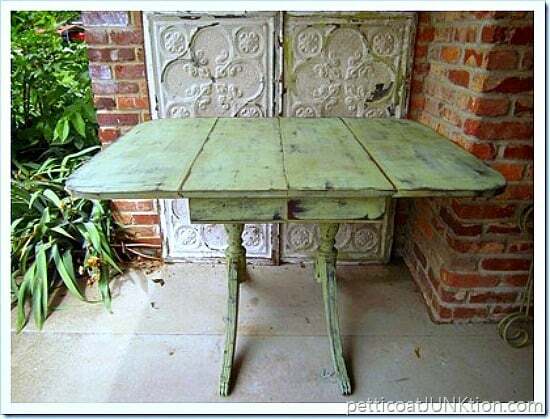 I especially love the two toned antique dresser and the green drop leaf table! You are such an inspiration!